Philips Respironics DreamStation CPAP & BIPAP Chin Strap - MediEn Malaysia, Philips Respironics Authorized Distributor in Malaysia, Philips Portable Oxygen Concentrator Machine supplier,Trilogy Ventilator,Dreamstation CPAP,BIPAP,Mask.Malaysia Oxygen,Philips Malaysia authorised service center,Oxygen Malaysia CPAP. "Stop snoring with chin strap"
Chin straps are one of the easiest anti-snoring products available. If you think that it might be uncomfortable to sleep with a full face CPAP mask, there is another option: a CPAP mask strap. A sleep apnea chin strap helps to stop snoring by supporting the lower jaw during sleep and keeping the airways open and unrestricted, allowing air to easily pass through. This helps to prevent a dry mouth from occurring. A chin strap is a cup made of fabric that supports the chin, and straps that go around the head and sides of the face. It is an alternative to those who find it difficult to sleep with a nose mask and keep their mouth closed simultaneously. 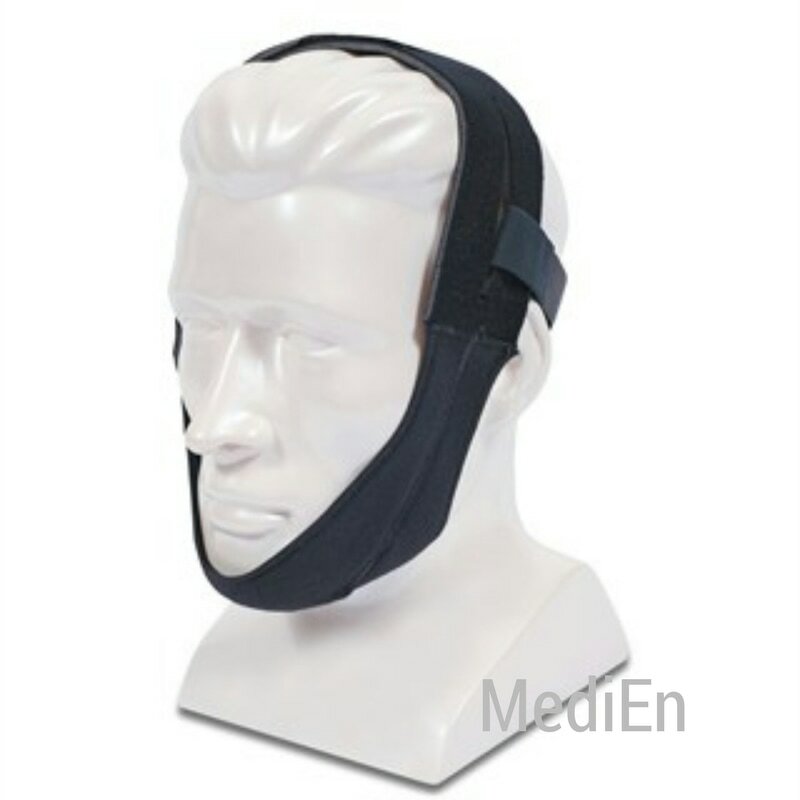 There are some important things to consider regarding a sleep apnea chin strap: the strap works best if it stays in position throughout the night, so if you toss and turn while sleeping, you might be better off with a CPAP mask. Another thing to consider is that a headgear strap should only be used on those who snore through the mouth. The wide strap passes under the chin. 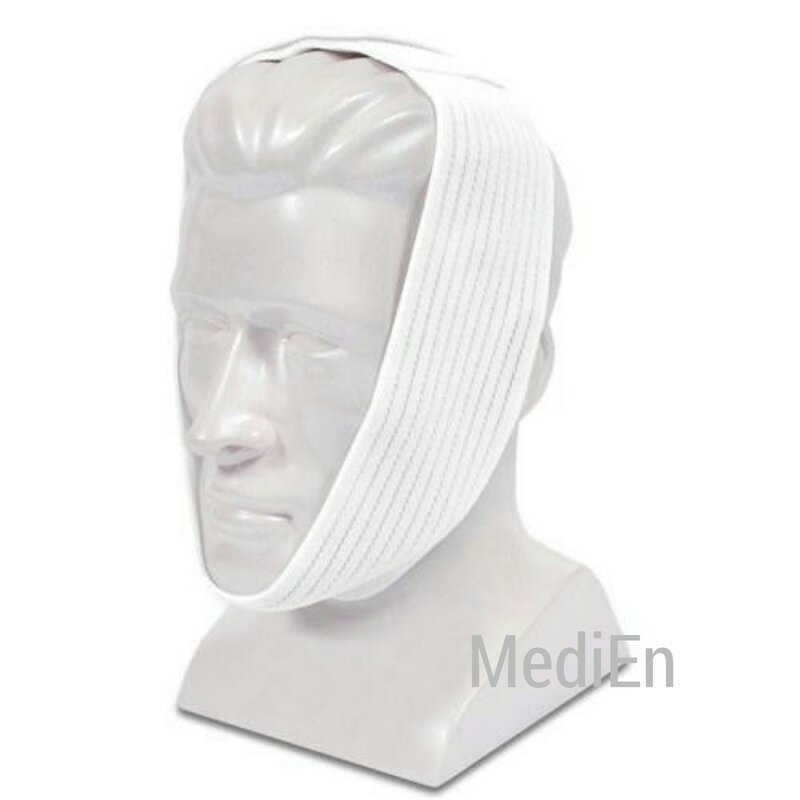 The chinstrap closes on the side of the head with the Velcro closure. The stability strap is attached to the wide strap facing the back of the head. 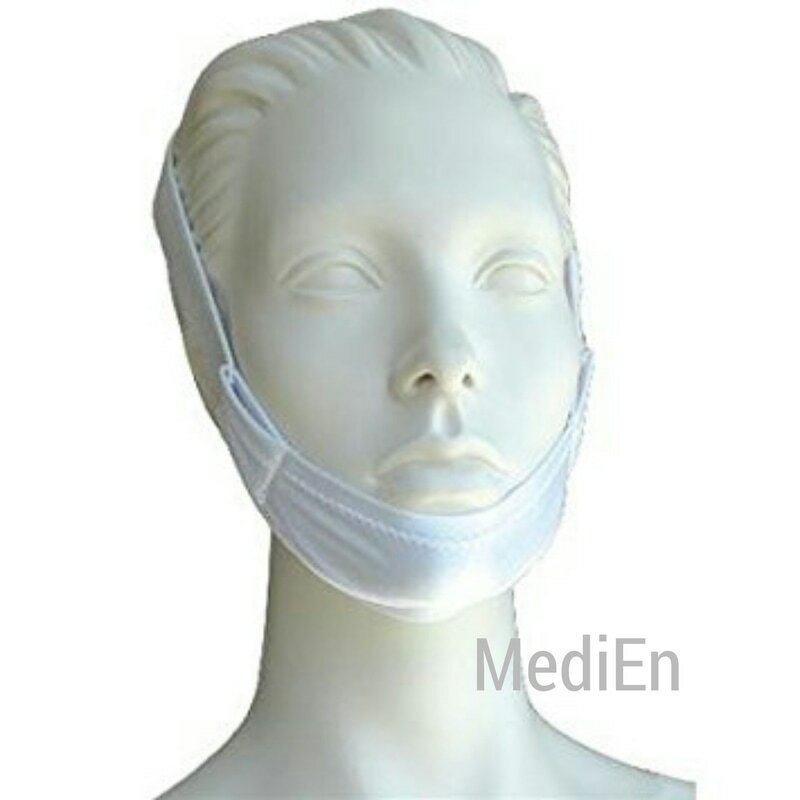 This Respironics chin strap is a favorite of many CPAP users for its simplicity, comfort, and use of the CPAP mask headgear to hold the mouth closed through therapy.